Next Tuesday evening is our Holiday Gift Tag Class. I've been playing around with the designs and having a hard time deciding which ones to use in the class. This is the blue/green set. I have lots more samples to choose from. 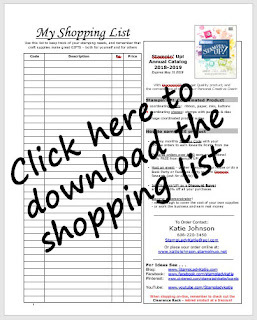 Are you signed up for the Gift Tag Class (Tues Dec 9 at 6:30)? If so, you'll have to trust me that you're going to love what ever gets chosen. Not signed up yet? You can reserve your spot HERE at my on-line calendar. 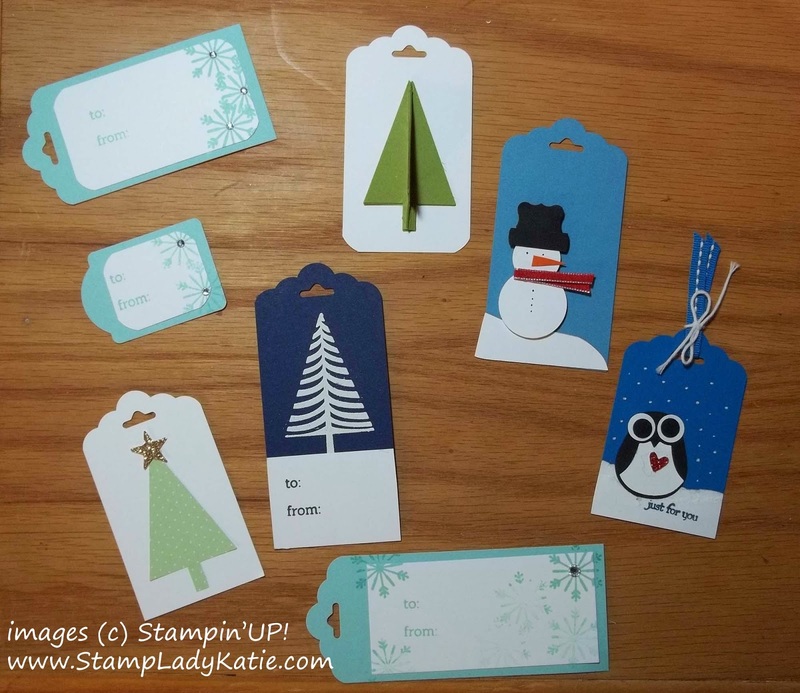 There are so many cute gift tag ideas and they're all so easy to make that it becomes a hard choice which ones to use. But I can't include them all in the class,the problem with choosing which tags to include is an equipment sharing issue because the stamps and ink can be used for only 1 project in a class. Notice several tags use the Festival of Trees stamps and punch. I love this set so much that I have a whole class featuring just this set scheduled for mid-December. Again, you can register on-line here. Tonight was our big demo event where we learned all about the new Occasions Catalog. As you can see from this picture, we find fun ways to occupy our time while waiting in line to be seated. Boy are you gonna love the new stuff. I can't wait to put in my pre-order. If you're like me you'll be thrilled to learn that the Festival of Trees stamps and punch will continue to be available even after the Holiday catalog expires. Yay! This set is just so fun. And . . . it makes great Gift Tags. 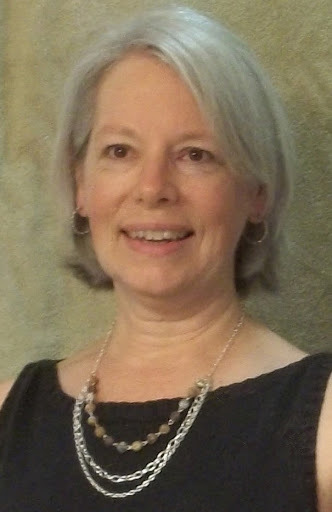 Sign-up for a class and join the fun. 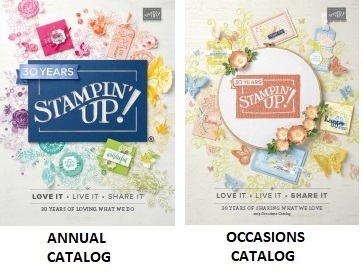 Remember, you can order all of your Stampin'UP! products from my on-line store. Thanks for stopping by, I hope you've been inspired. Be sure to check the Clearance Rack for super deals on retired product.